My Chic & Crafty Lil' Heart! ♥: Birthday Girl! I colored the image using my Copic markers... I'm finally getting better at coloring skin and clothing, but hair coloring is taking me quite a bit to polish... My goal is to color as good as Kristina Werner one day!! (; The sentiment is a sticker by Jillibean Soup from a collection pack that I got a while ago (finally using these). I added glossy accents to the lollipop for dimension & shine (doesn't show in the picture--sorry), and stardust Stickles to the heart on the little girl's shirt--so pretty!! Love the colors in your card. The pink pearls are perfect! Such a cheery birthday card! Love that background of flowers - it's adorable!! Great card! Love it!! Totally love your color combo!! Very, very cute! Suzanne Dean also has amazing coloring skills - including hair (which I agree can be so difficult!). I have found a lot of good coloring videos on you tube, as well. 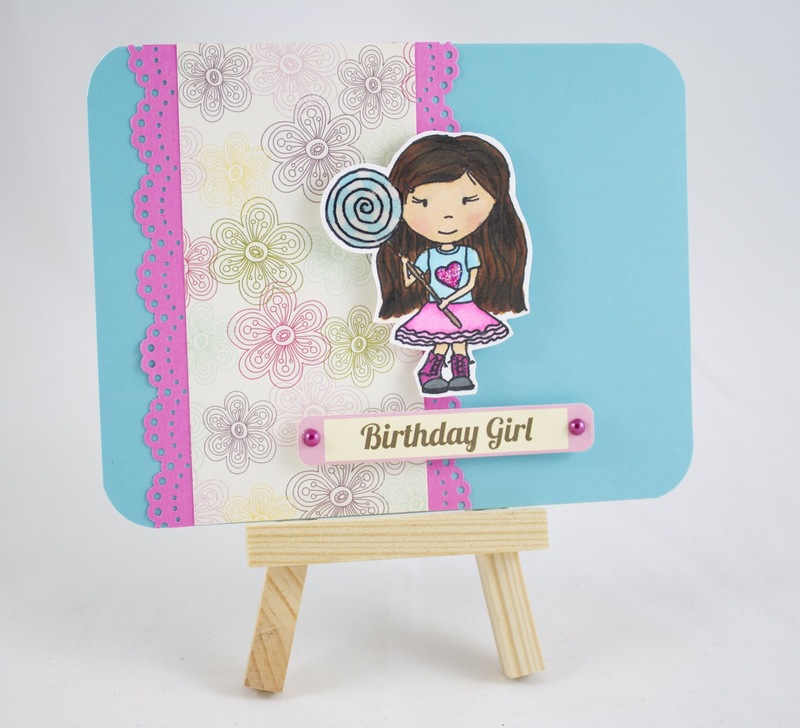 What an adorable card Grisel! Love this birthday card. The little girl is a great size and addition to the papers you used!so sweet.